For Beatriz Colomina and Mark Wigley “design always presents itself as serving the human, but its real ambition is to redesign the human.” Their curatorial intentions behind the 3rd Istanbul Design Biennial, which will open later this year  and will be themed around the title Are We Human? The Design of the Species: 2 Seconds, 2 Days, 2 Years, 200 Years, 200,000 Years, brims with prescient and reflective statements such as this. All that will be encompassed by this Biennial, they say, will revolve around one pressing provocation: that design itself needs to be redesigned. James Taylor-Foster: You argue that our planet “has been completely encrusted by design as a geological layer,” and that design has become so much a part of human existence that it “has become the world.” It’s easy to read this with a sense of foreboding – a feeling that mankind exists in a sort of design-bred stasis. Would this be a fair reading? Beatriz Colomina: Yes – we are all completely suspended in design. But it is not stasis. You can think about it as a series of continuous transformations, like a spider’s web which we’re endlessly weaving around ourselves: a web of design. Mark Wigley: It’s curious as to why you have a sense of foreboding. Does that imply that design is not such a good thing, and to be so immersed in it might be something to feel uncomfortable about? What’s perhaps uncomfortable is the notion that we’ve walked into a condition in which we’re ‘cemented’ in stratified design. Most of us fall asleep with the blue light of a screen and wake up to it. Your curatorial statement behind this Biennial resonates absolutely in that sense – that we’ve walked into a designed world and perceived (consciously or unconsciously) it as a good. BC: That’s certainly the case for urban centers but also imagine that you’re in the middle of Canada, for example, or in the middle of the Amazon rainforest. You see ‘nature,’ but it’s not natural – it’s been designed. Some of mankind’s biggest natural tragedies have been in the making for a very long time. In that sense, empty spaces are not empty in the slightest—they have been perforated by all sorts of interventions—so this image that our planet has been entirely encrusted in design, including places like Antarctica or the ocean floor, is at the core of this Biennial. The exhibition intends to demonstrate that the perceived ‘non-designed world’ is even more important than the designed. MW: And this is at the heart of why Beatriz and I agreed to curate this Biennial. We are all living in design. Design is now bigger than the world. We’ve started to experience our lives and even the planet as being ‘inside’ design – it’s almost like design is the permanent horizon and our life sits within it. This is incredibly important to address, from an ethical stance, yet the community of designers are somehow stranded – if the whole planet is being designed, what precisely is the design community doing? What could happen? What could we do differently, and what are our opportunities right now? The subtitle of the Biennial—2 Seconds, 2 Days, 2 Years, 200 Years, 200,000 Years—is interesting because it seems to suggest a challenge to the typical two-year Biennial and three-year Triennial time frame that we’ve become used to. Are you in some way critiquing these models? BC: Absolutely! The subtitle you mentioned came from the realisation that we are in fact very critical of this default two year time span. If the origin of industrial design is considered to be the debates preceding the Great Exhibition of 1851 in London, about 200 years ago, and the origin of the modern human as a species is generally agreed to be around 200,000 years ago, we started to think, influenced as we are by the Eames, in a kind of ‘power of two’ mode. On the one hand, design has been part of humanity for far longer than we realize. And on the other hand, in the age of social media, which is also a carefully designed space, two seconds is very important. Think about Snapchat, for example. So that is our bandwidth. The 200,000 year time frame is particularly interesting. Projects like the unfinished Yucca Mountain nuclear waste repository in Nevada, or the Onkalu spent nuclear fuel repository in Finland currently under construction sprang to mind. These pose tremendous challenges, not just in an architectural sense but also in how the immeasurable danger of these sites might be communicated to forms of future life when humanity no longer resides on Earth. MW: Absolutely! The question of nuclear radiation is incredibly interesting, and super important. From the end of the Second World War on, our species developed an ability to extinguish itself – we essentially designed our own exit. In the wake of this, a sense of urgency came over the design community, and you can see astonishing reflections on survival through new kinds of design and counter-design in the post-war years. But then we all got a bit lazy. We acted as if this wasn’t really an issue and that we shouldn’t be so afraid of the extreme consequences of design. The Anthropocene argument has put it back in focus even more radically. We’re also very interested in this idea of radiation not only because of the thought that we continue to (stupidly) design our own extinction, but also because the nuclear programme, nuclear waste, and even the distribution of nuclear energy, was itself designed and has become part of the archaeology of our species. We’ll show extraordinary examples of radioactivity as a designed artefact at the Biennial. That said, the challenge is—as you say—to understand how this more archaeological concept of design can be communicated? Perhaps the starting point is to accept that the conventional way to think about design—the way we’ve been familiar with since the nineteenth century—no longer works. Starting in London in the 1830s, at the very beginning of mass industrialisation and globalisation, a concept of good design was produced and refined to facilitate that global ecology. It became the norm, but we now need to produce new concepts. These sort of shifts don’t just happen at a Biennial, but at least it can signal the need to begin a project about renovating our understanding of design. Having touched upon this idea of the ‘globalisation’ of design, I wonder how you encompass such a ubiquitous condition in a single event such as a Biennial? BC: It’s a challenge, for sure! In so many dimensions of the personal, cultural, technological and economic life, the idea of ‘good design’ remains very dominant. This is the idea of design that we’re against, hence our provocation that “design needs to be redesigned.” The Istanbul Biennial will be proactive in that sense by presenting itself as an intellectual project and rethinking what design is in our time. Many twentieth century ideas seem totally outdated today but are still extremely prevalent in schools, events, and magazines. Only if a Biennial gives up the trade show model can it provoke new forms of thought and action by shifting the way things are looked at. Our idea is to provide a different kind of lens. MW: We initially thought this Biennale should be very concentrated, even physically so. But, of course, once you announce to yourself that you want to understand what design really is in the world today, this very concentrated ‘thing’ immediately explodes! Nevertheless, we’re very interested in the experience of the visitor – in person, online, and in publications. The Biennial repeatedly asks the question Are We Human? but will not offer a selection of designs in response. In that sense, we’re rejecting the idea of the designer contributing to a kind of supermarket of beautiful things for purchase. We want to show that the visitor has been designed, and is a designer at the same time. We’ll try to demonstrate that almost every dimension of the visitors’ lives—intellectual, sexual, ideological, philosophical, technical—has been designed, but also that there are ways to break out of the empire of perceived ‘good design.’ We won’t prescribe any of these strategies – we simply want to create a platform for urgent reflection on these potentials. Andrés Jaques’ Office for Political Innovation will be creating “clusters of interactive clouds” for reflection and discussion. What will these be and how will they interact or reconcile with the primary setting, Istanbul? BC: We’re interested in using these “clouds” as interventions which resonate with each other, overlap and vibrate. This Biennial will not only be about space but time, too. The design of time is crucial. It was wonderful that you suggested the examples of Yucca Mountain and Onkalu: when we’re no longer here, who will be? The images that we project of humanity – what will it tell them about us? We’re going to show, for example, the carefully designed images of humanity that we launched into outer space inside exploratory spacecraft sent far beyond our solar system. At the same time, we’ll show some of the very oldest human designs that were buried for tens of thousands of years. The idea of the “clouds” is to overlap such things, collapsing time and space so the visitor starts to see, and invent, connections. MW: And they will also be “clouds” in the sense that they will be trying to remove any distinction between seeing and discussing a display. Visitors will be forced to discuss it because things will not sit in isolated categories. They will have to make decisions themselves about the relationships between objects. It also means that the work of one designer (or theorist, scientist, philosopher, artist, archaeologist, curator or historian) could be in many places rather than one, and will all be treated the same. In that sense, everybody’s forced to be at the centre of the exhibition. BC: Yes – the visitor should not experience the work of any one of the design thinkers in any one single way; almost everything that will be on display will be able to be experienced more than once and at different times of the day. The Biennial will not be a nine-to-five event; it shouldn’t be like a typical day at work. We want to occupy the night and think about the twenty-four hour cycle of an exhibition. What is the design of the night? 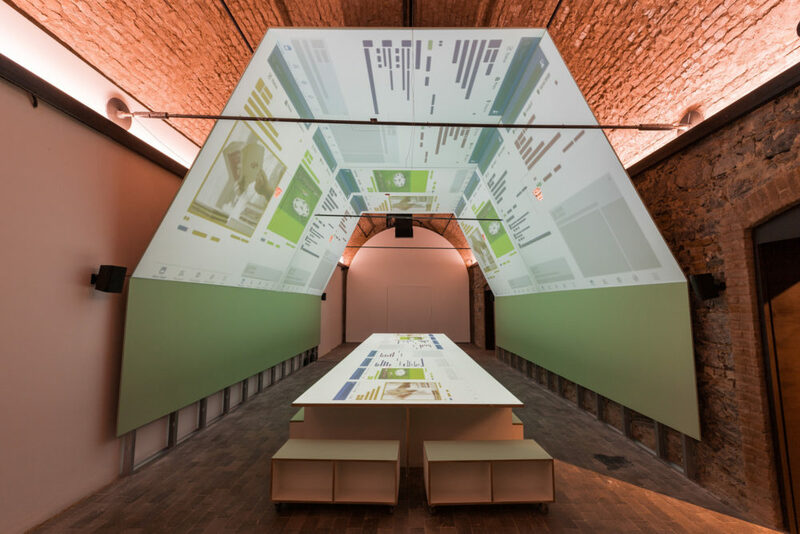 One of the perceived strengths of the Biennial model is that they have a geographical anchor, allowing for people from across the world to descend onto a single place in order to experience a collection of framed ideas. These events, for all their value ‘in the moment’, almost always fail to provide a successful digital replication, version or legacy (often, in some instances, by design). 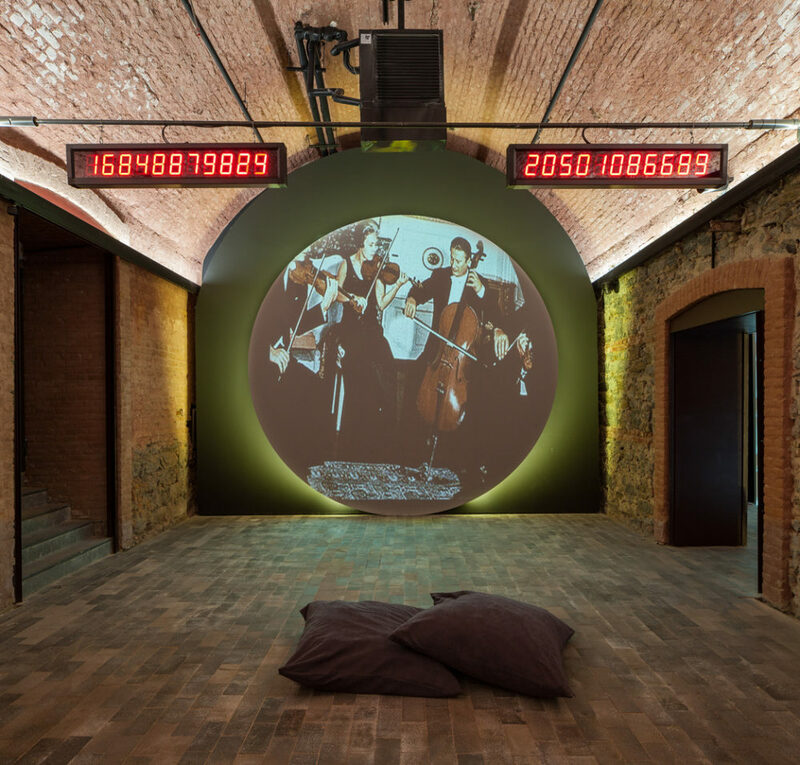 Do you have intentions to scale this year’s Biennial out of Istanbul and online? BC: Absolutely! We want it to exist before it physically happens, and continue afterwards. We’re against the idea of a catalogue which essentially dies when the Biennial ends, so we’re thinking about a multiplicity of online and printed publications that can even precede the event as well as continue after it. MW: I think that we totally agree with your diagnosis. Biennials and Triennials have a certain rhythm and ability to draw wonderful people and projects together in an astonishing ‘compacting’ of intellectual energy. These used to be a few events every two or three years, but are now continuous. This means that the same sets of people are working in all of these in slightly different configurations, so no one really has the time to say something absolutely new or absolutely old. At some deeper level, this also guarantees that nothing will change. What if the huge success of Biennials and Triennials is inversely proportional to their impact? This makes your question extremely urgent for us. We don’t know if we’ll succeed but we will launch a series of online experiments and, more than that, will launch some elements of the project which will have a ten-year lifespan. We think that it’s a deep responsibility of the Biennial to take the speed of social media very seriously, alongside the longer timeframes. We’re very interested in ArchDaily, for instance, exactly for this reason: it has activated a time frame that is crucial to anyone who wants to be mentally alive. Also central to this idea of the Biennial, as you mentioned, is the notion of pedagogy. By its very nature a Biennial is an educational platform and you are both, first and foremost, academics in architecture. It’s perhaps naïve of me to suggest that design and architecture are entirely separate things, but the perception is that they are – certainly among many architects and perhaps among designers, too? MW: It’s true: architecture and design are very different things. But none of us really know what the precise difference is. Meanwhile, the world doesn’t really care about this little territorial dispute between industrial design and architecture because design has gone viral and architecture has not. If you’re a politician, a financial expert, a corporation, a government, or a school, or you’re thinking of a new approach to healthcare in Africa, for example, you naturally use the language of design and design thinking. What does it mean for the biggest company in the world—Apple—to be formed by someone who believes in Bauhaus design? At the very beginning of our curatorial process we contemplated the differences between an Art Biennial and a Design Biennial. We came to the conclusion that design is always seen as a form of service, serving the human, whereas art is always understood to be a reflection on or from the human. That’s why the very first proposition of the exhibition is “design is always design of the human.” We’re essentially saying that design is much bigger than art. 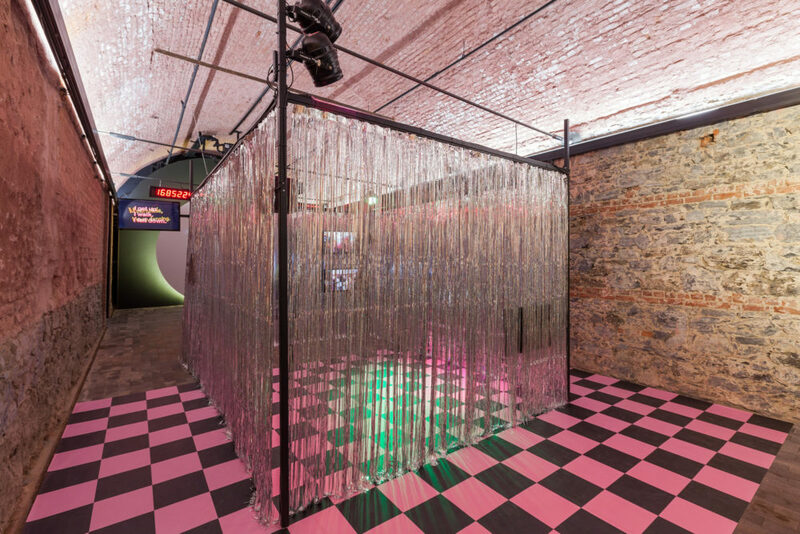 BC: It’s also expected that at the core of an Art Biennial there will be some philosophical, political and critical reflections on life – but design is not supposed to engage with such ideas. The idea of bringing criticality to a Design Biennial is a very deliberate intention. In fact, if the open questions of human and design are so intimately entangled, as we suggest, then a Design Biennial must be a reflection on the conditions of life. MW: This Biennial will be both a call for the design communities to rethink their assumptions about the discipline but also an invitation for all the other fields who are thinking about design to join us. A sectarian struggle over the word ‘design’ is pointless if we are designed in our humanity and we are human only by way of design. The 3rd Istanbul Design Biennial ran between October and December 2016.